Looking for a complete POS system that is easy to use? Get a guided tour of the system and your questions answered. Linga POS is a global phenomenon. Watch the system adapt to over 30+ different languages. If we don’t have your language, let us know and we can customize the product for you. Optimize your restaurant flow with Linga’s table management feature. This feature is great for calculating the guest count at certain tables, dining time length, and average check amount. Give your customers more flexibility. With Linga’s split checks feature, it allows you to not only split checks, but also combine or transfer single or multiple items to a different check. Let your customers embrace their creative side with the Pizza by Slice function. Your customers will have the ability to customize their pizza down to the very pizza slice. The bar tab function is a great feature of Linga’s iPad POS system. This function allows you look up open or closed tabs by name, order number or the last 4 digits of the credit card. 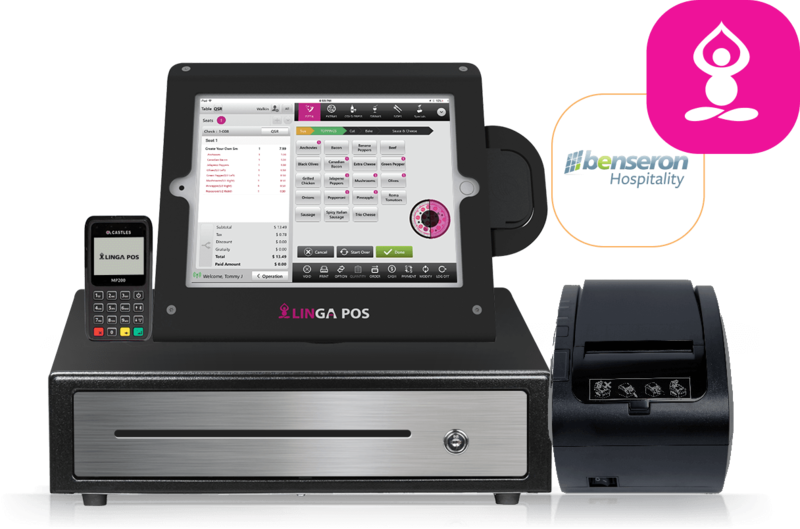 With your Linga POS system, you get the ability to use optional and mandatory modifiers with your food options. When you make changes, the POS system adjusts prices for your profitability. Linga’s custom alert function allows you to get alerts via text or email for void, discounted, or no sales activity. Stay informed with your touch screen point of sale system at all times. Choose what information is printed on your kitchen or receipt printer with Linga’s POS system. Pick print options from the POS system that are easy for customers and staff to understand. Kitchen Display Systems are a helpful component of a Linga’s POS system. A KDS system allows you to see order changes instantly and to cut down the mess of printed kitchen tickets. Does your business have a hierarchy? 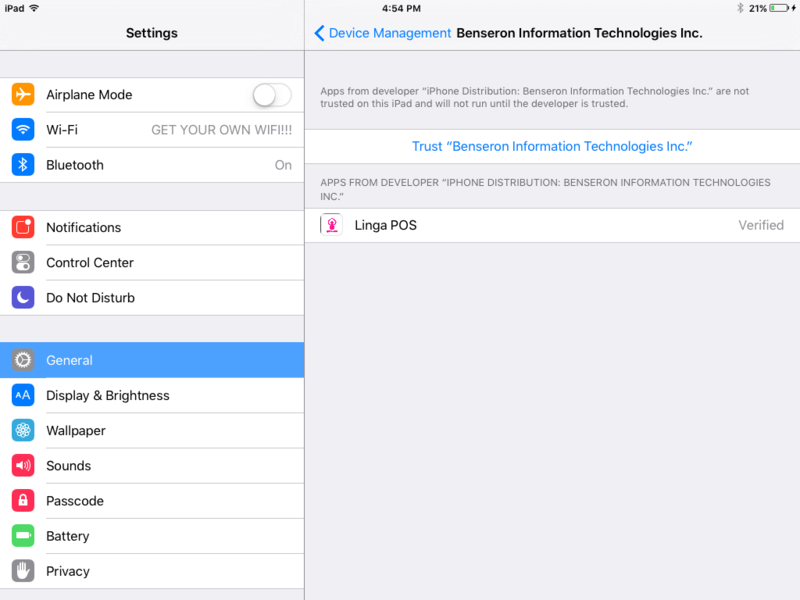 Create user roles and user permissions with your Linga Point of Sale system. Customize which employees have user access based on their job role. Linga is integrated with IoT devices. Easily implement Nest Thermostat and Nest Cameras to watch over your business anytime, anywhere. Take back control of your business with Linga POS. Linga POS comes with in-depth dashboard reporting tools. Your point of sale system will conveniently show your net sales, refunds, transactions so you keep updated about your store. Linga is perfect for all of your inventory management software needs. It comes with inventory comparison that allows you to compare inventory costs by amounts of time, and adjust costs. Need more inventory reporting tools? Linga Point of Sale system reports inventory down to the ingredient level. Change any ingredients and see your menu prices change automatically. Get payroll reporting at your fingertips with Linga POS. A single payroll report can give employee hours for the day or week with labor costs so you see if you are over or understaffed. Use sales analysis and reporting that are easy to understand within your point of sale system. Generate daily sales reports on best and worst selling items, peak hours, and menu profits. It’s important to know which menu items and ingredients are more profitable than others. Linga POS has a great food cost formula that calculates costs in the backend of the POS system. Need more customer data collection tools for sales and promotions? Linga POS comes with a Wi-Fi data collector that is great for collecting customer information like name and email. Receive unlimited tender options with our Pro and Enterprise Edition, including gift cards, cash, credit card, and card with EMV chips. Give consumers their payment preferences with Linga. Customer loyalty programs are always helpful in growing your business. They retain and give you good word-of-mouth. Create easy rewards programs in the backend of your POS system. With Enterprise reporting get consolidated report access. Categorize stores into reports to analyze your sales and data to help you understand any changes you need to make. 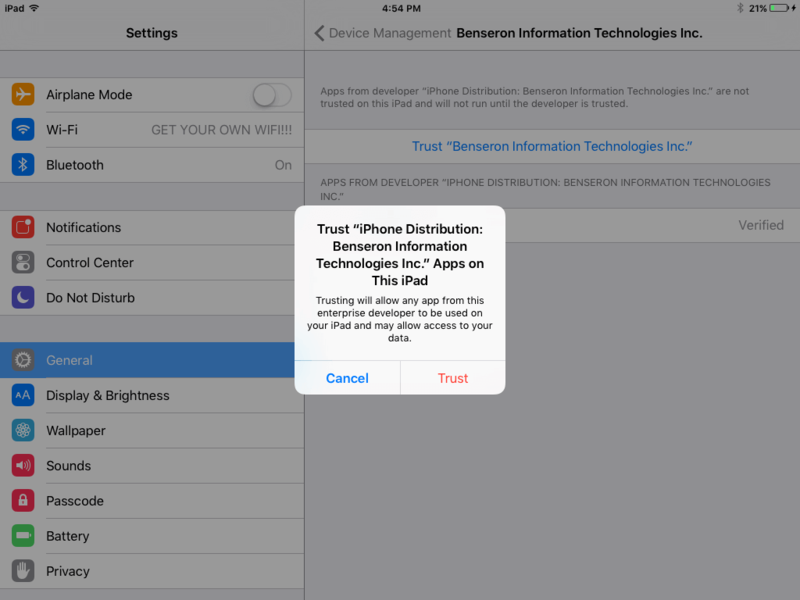 Customer targeting tools can be applied in the backend of your iPad point of sale system with menu item categories. Apply these tools for holidays, days of the week, or hours of the day. Have more than one store? Linga iPad Point of Sale allows you to easily manage more than one store or restaurant right from the backend. Compare sales and consumer data for each of your stores.